I know that I've been away from here for almost two weeks but.. life got in the way and I had some serious thinking and sorting out to do! Maybe I'll talk about it in a future post but I just wanted to let you'll know that I am extremely happy to be back! 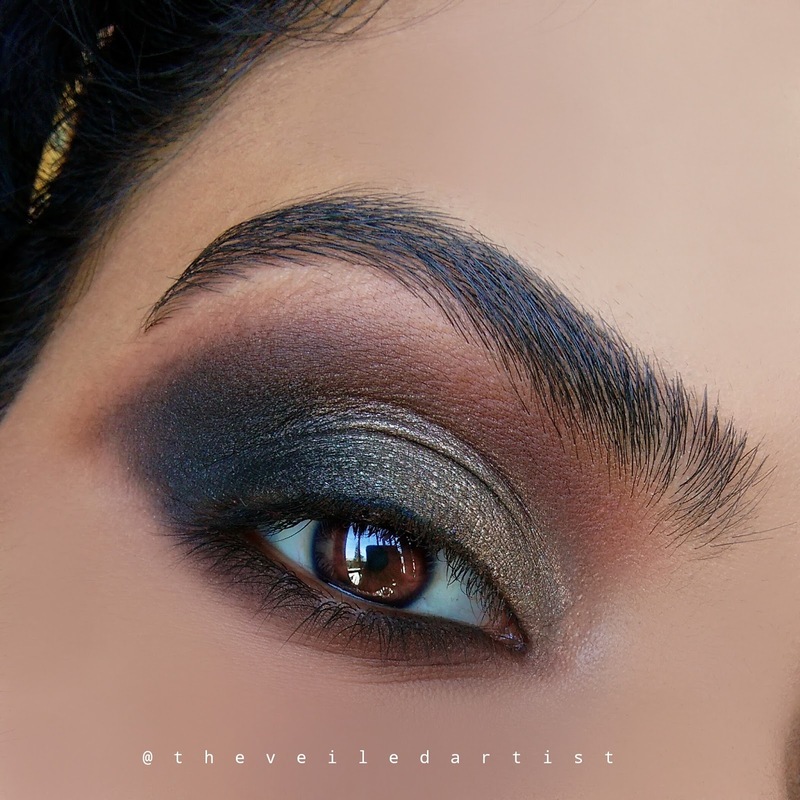 Today's tutorial is going to be on this vixen inspired, dark, sultry, SMOKEY look! A look that almost represents how I emerge, stronger, out of everything that life throws my way. Anyways, let's get started! 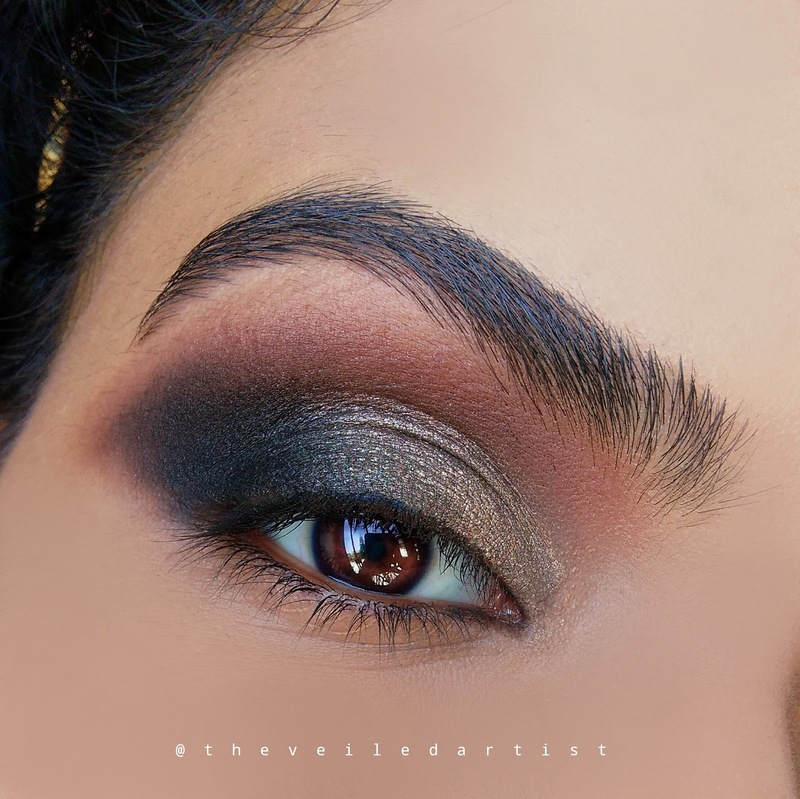 Blend the matte warm brown eyeshadow into your crease and a little above it. This will serve as our transition shade because we are playing with some pretty dark shadows today. 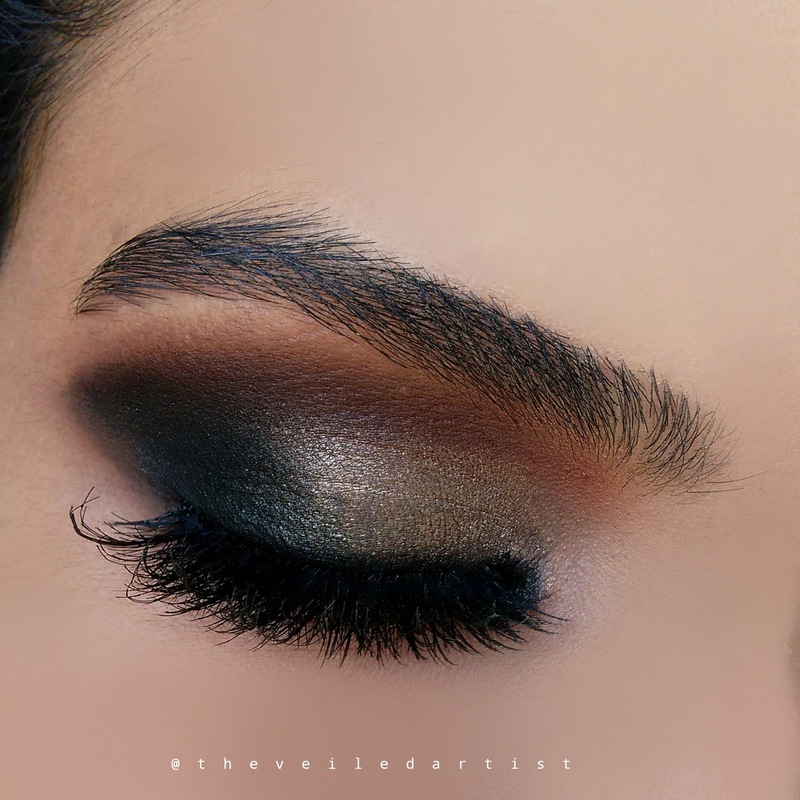 Prime your eyelids with a black eyeshadow primer or use a creamy black pencil and blend it out. This is to ensure that the shadows we apply next will apply nice and rich in pigment. 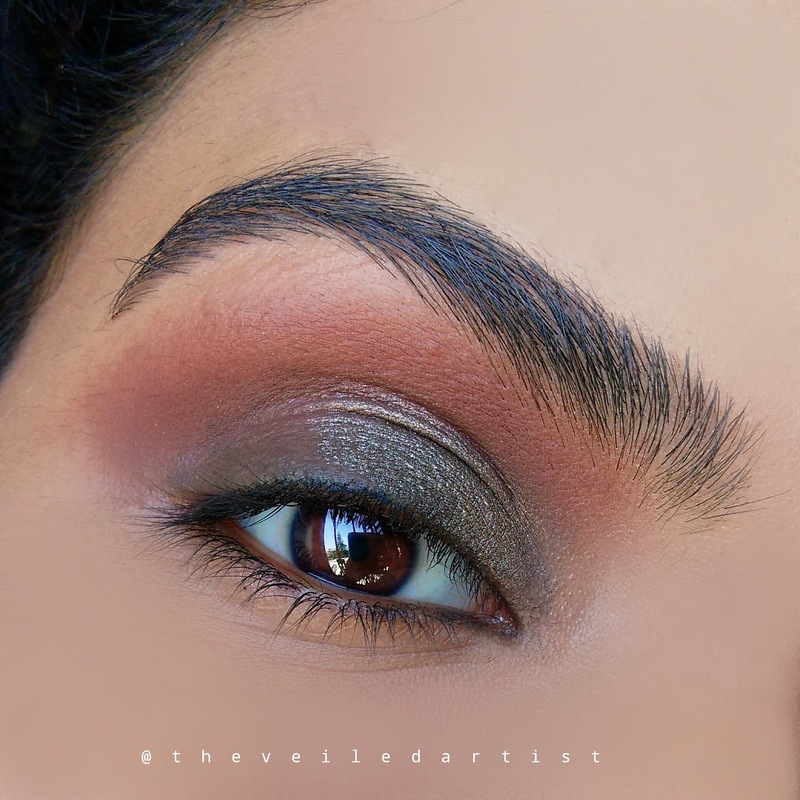 Pat and apply the shimmery taupe eyeshadow onto the inner half of your mobile eyelids. You can use a shimmery dull gold shade or even a khaki green shade for this step, if you can't find a shimmery taupe. Using a blending brush, blend out the edges into the warm brown we previously applied. 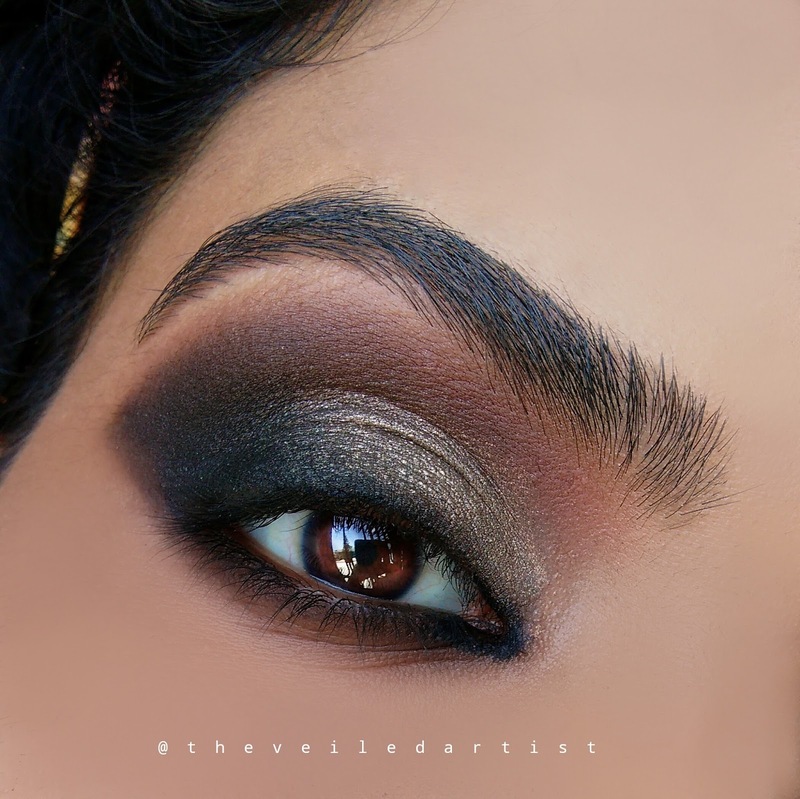 Blend the matte black eyeshadow into the outer half of your eyelids, into a slight v shape. 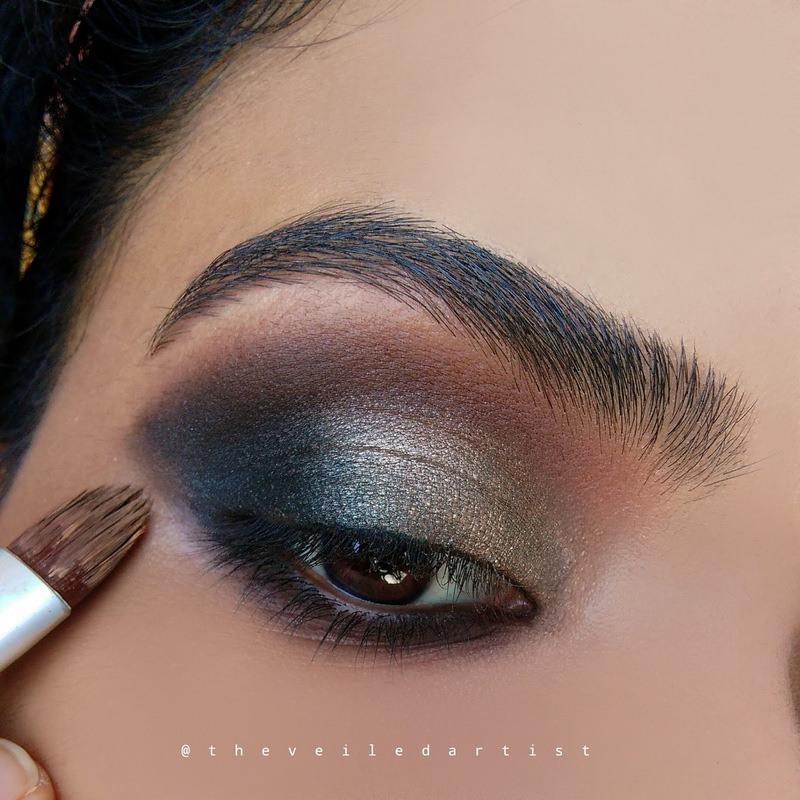 Then, blend the edges of the black eyeshadow slightly into the brown in the crease and also into the shimmery shade we applied on the mobile lid. 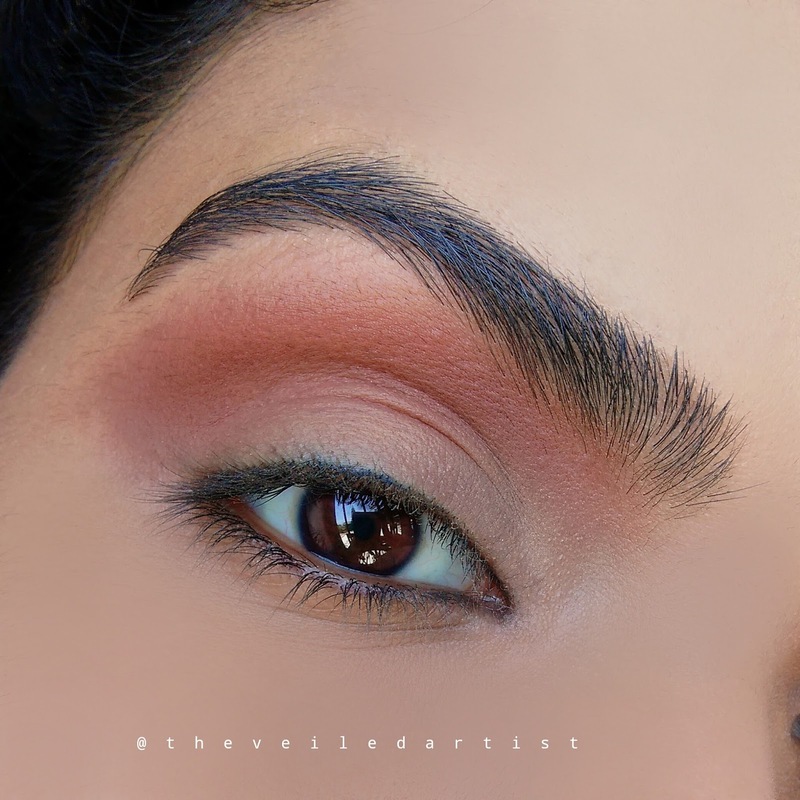 Using a small pencil brush or blending brush, blend the warm matte brown eyeshadow all along your lower lashline. 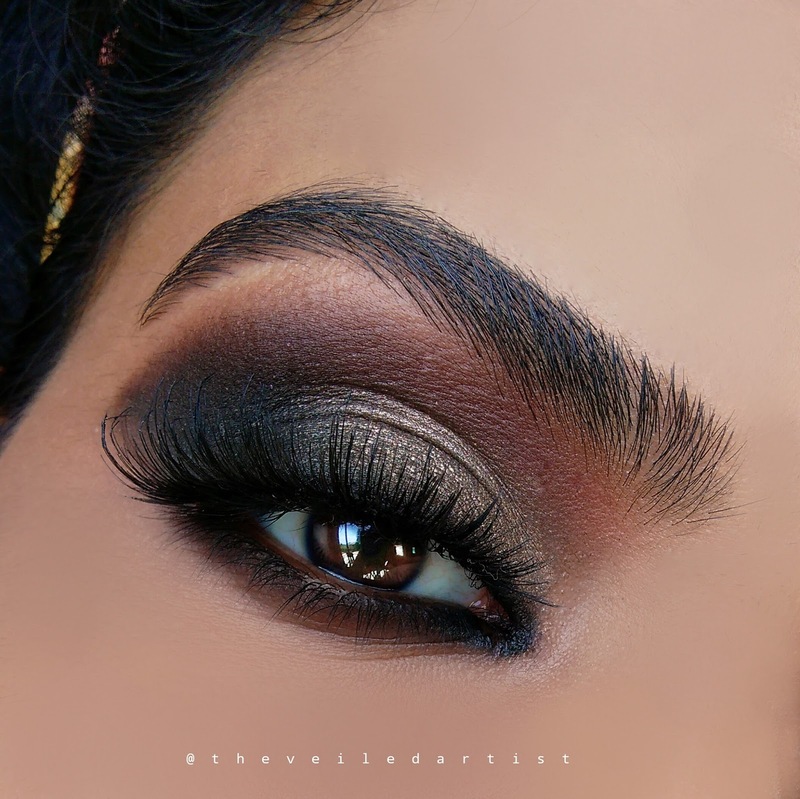 Pick up some of the matte black eyeshadow and blend it right above the brown we just applied but make sure to keep it closer to your eyelashes and to not drag the colour down too low. 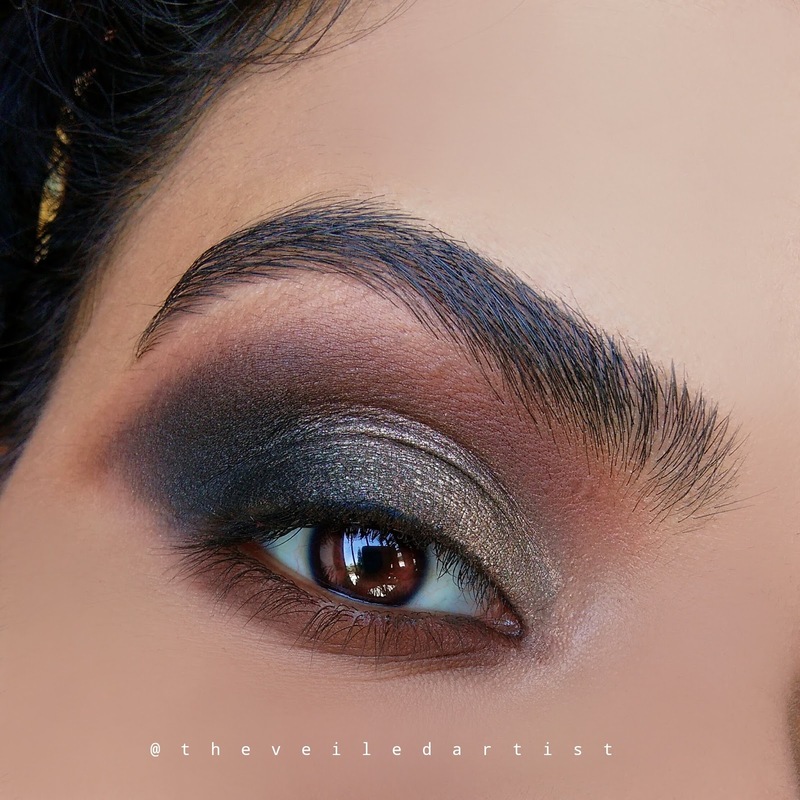 Using your foundation or concealer, draw a line following the edges of the brown eyeshadow on your lower lashline towards the tail of your brows and blend it out, as shown below. This is to clean any eyeshadow fallout and to also give the eyes that extra lifted feline look. Using a black pencil liner, line the inner corners of your eyes as shown below. I love what this step adds to the look! Next, get a bit of that liner onto a small brush and blend it slightly on your upper lashline. Curl your lashes and apply mascara. And then! One of my favourite steps to do! Pop on a pair of falsies. 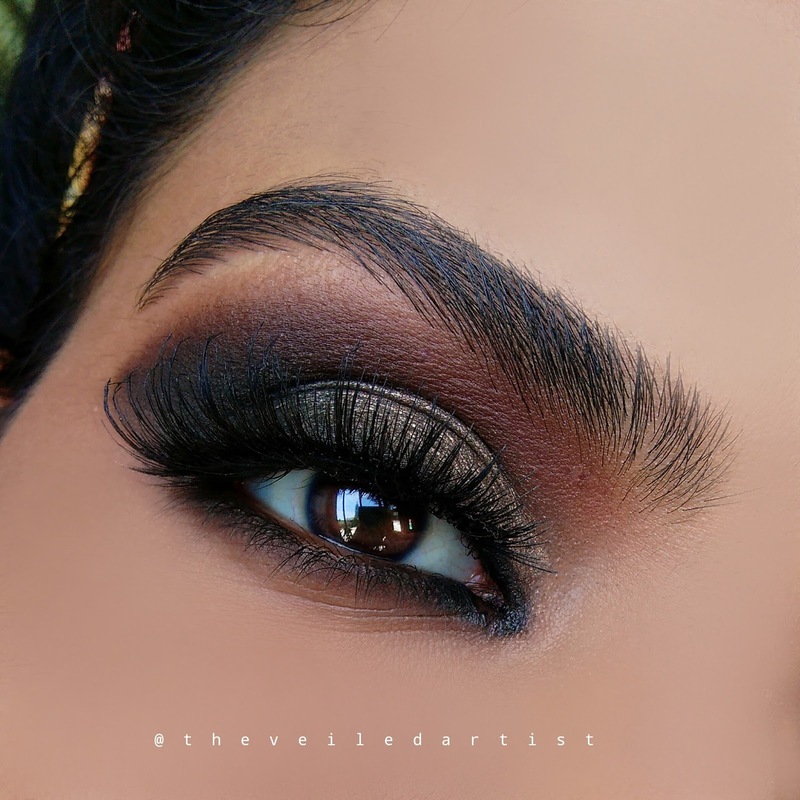 For a look this dark and dramatic, I feel false eyelashes are a must! Not only do they add to the drama, but they also help your lashes stand out. Because of all the dark shadows we used on the lid, it may look like our normal lashes are non existent haha. And that's it you guys!! 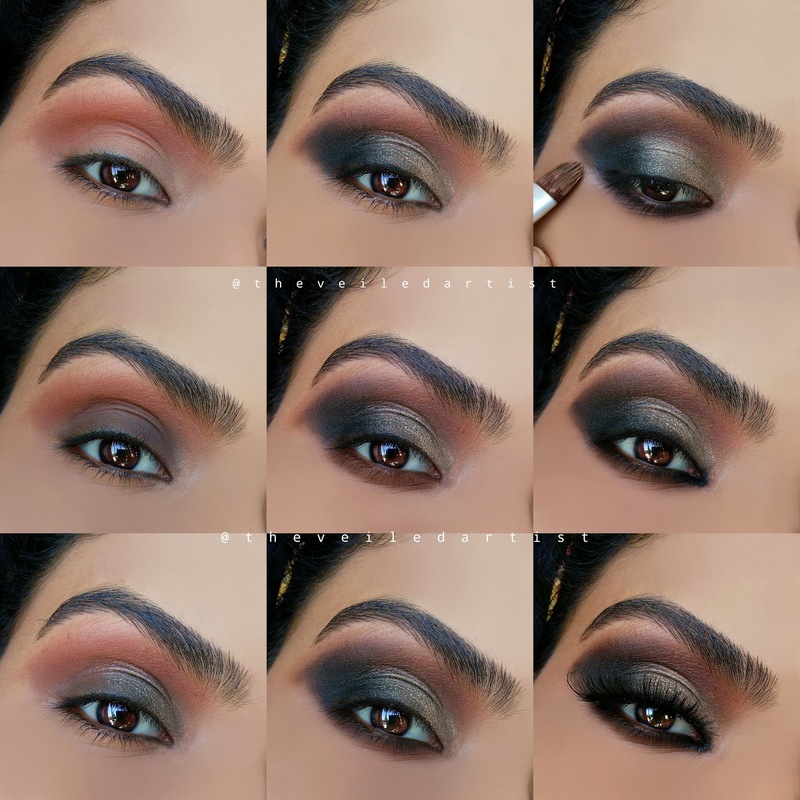 Scroll down for a full products used list and Pictorial! *I have tagged the morphe 35b palette here because the 35c seems to be out of stock on the morphe website. 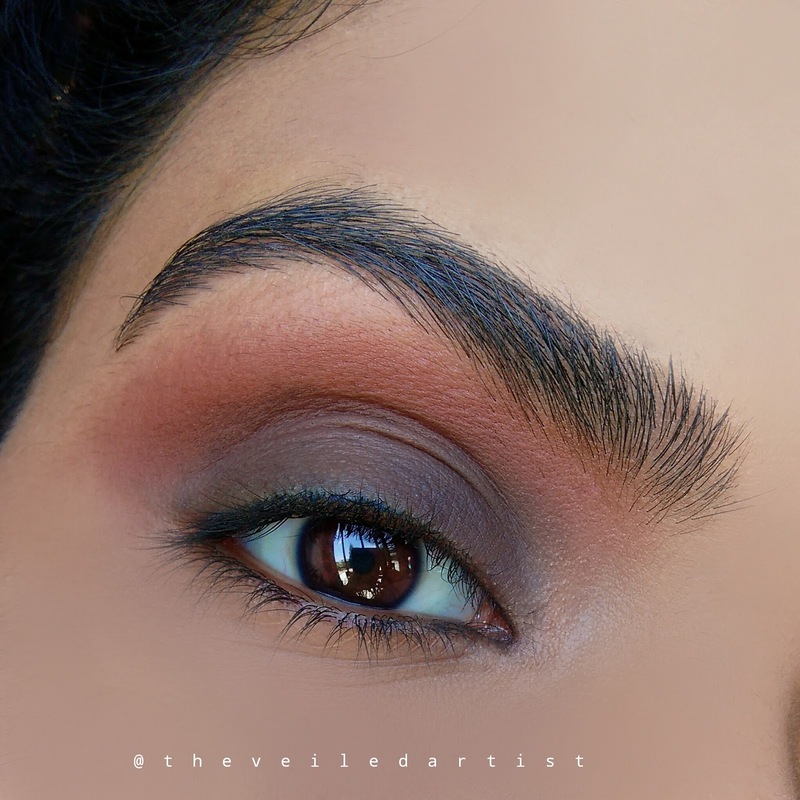 35c is an all matte palette and 35b is a mix of mattes and shimmers.